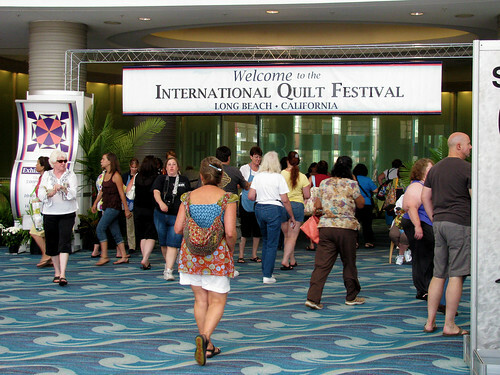 I spent all of Saturday at the International Quilt Festival in Long Beach California. It was fabulous. I am exhausted, so this post will be short. I will be posting the next couple of days everything I can remember. There was so much to see. It was a 2 hour drive down and a 3 1/2 hour drive back. Why the difference? Who knows, it is Los Angeles after all. I spent 9 hours going through the show and exhibitors gallery, including 4 hours just exploring the top of line sewing machines. All I can say now is “Wow!”. 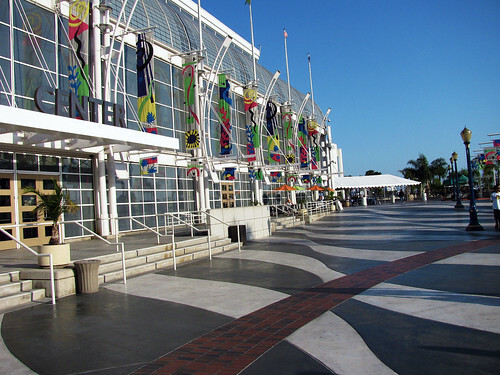 The festival was held in the wonderful Long Beach Convention Center. It is huge with lots of amenities. 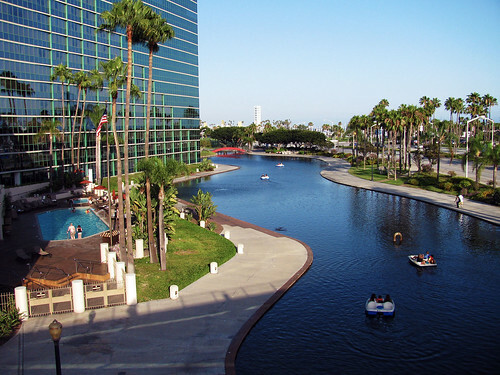 I walked a little way toward the beach and took this photo of the side yard of the Hyatt Hotel next to the Convention Center. I just thought it looked pretty. 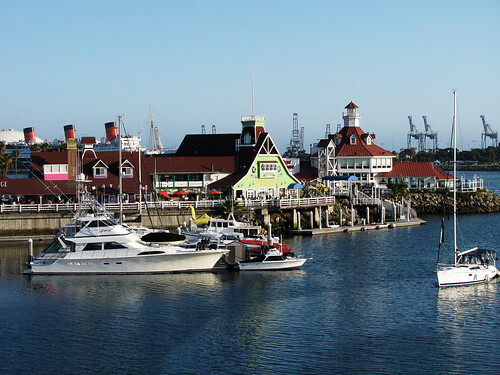 This is the view of the shoreline village at the end of the walk way. It was a really pretty day in so many ways. This entry was posted on Sunday, July 26th, 2009 at 3:00 am and is filed under Photography and Sewing. Tagged: Photo, Sewing. You can feed this entry. You can leave a response, or trackback from your own site. The last photo looks so quaint—until I looked closer. Are those oil rigs and a cruise ship in the background? Looking forward to hearing more about the show. Please tell me what you thought of all the sewing machines! What a beautiful setting for a quilt fest!